Holy Grail Game will release its set-collection game Museum on April 25, which will be distributed in North America through Luma Games. Museum is set in the early 20th Century, at a time when famous museums around the world competed for newly-discovered archeological relics for their growing displays. As museum curators, the players try to collect the most impressive exhibits of Incan, Polynesian, Greek, Roman, and Egyptian artifacts, theming their exhibits around architecture, navigation, and theology. 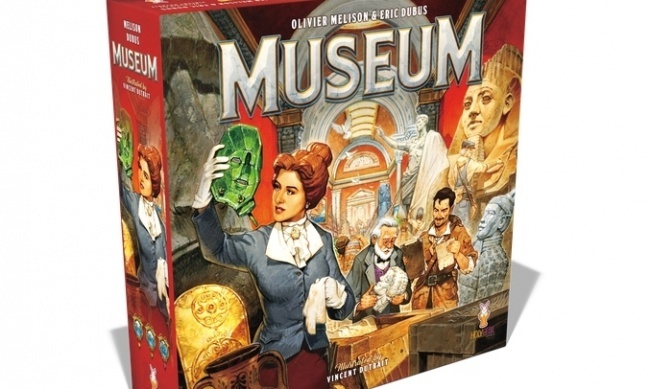 Museum is the first published design by Olivier Melison and Eric Dubus, and will feature 180 object cards depicting real artifacts, featuring artwork by Vincent Dutrait (Lewis & Clark, Broom Sevice, T.I.M.E. Stories). 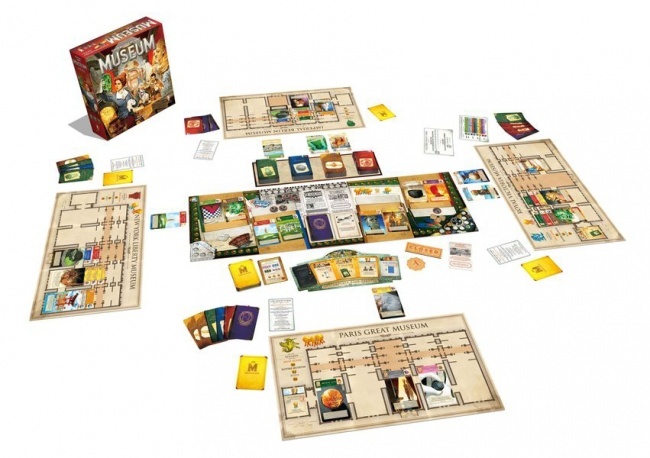 In addition, the game has 105 other cards, 1 central board, 1 personnel board, 4 museum boards, and 56 tokens. It is intended for 2 to 4 players, ages 10 and up, and takes about an hour to play. MSRP is $60.00. 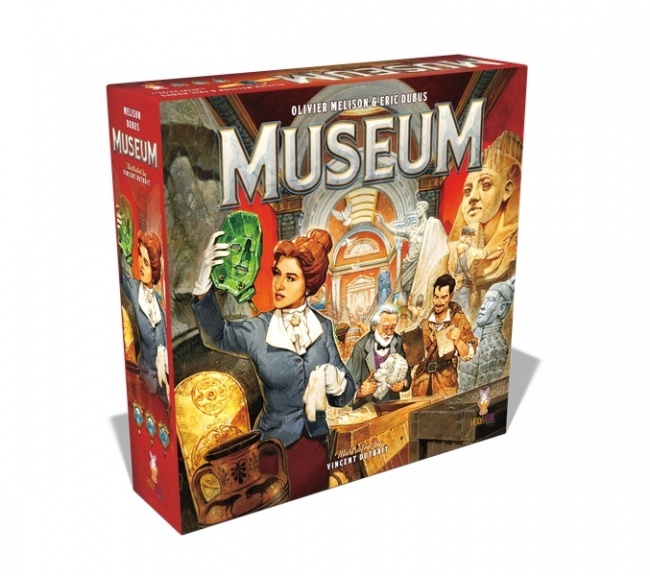 Holy Grail Games funded the production of Museum through a Kickstarter campaign in late 2017 which attracted €253,328 (about $300,219) in pledged support from 3,684 backers (an average of €68.76—$81.49—per backer). Backer fulfillment began last month, with the game releasing into the trade next week. Museum will be the first game distributed through a new partnership between Holy Grail and Luma Games (see “Holy Grail Games Signs with Luma for North America”).